This week’s reflection point: I want to share a few examples of how clients can self–sabotage their website and possibly their business. Several years ago, while developing the web site for one of our clients, she contacted our team requesting that we change the font size from 12 points to 11.75! I would admit that to the naked eye, there is absolutely no way to discern the difference so I contacted her to understand how she arrived at such a request. To my amazement, she was spending way too much time trying to explain her peculiar logic. On another occasion, a client wanted to see more pink used in an already pink–saturated site. And finally…. the client who was in love with his methodologies and lengthy descriptions rather than concisely describing what’s in the clients’ best interest. 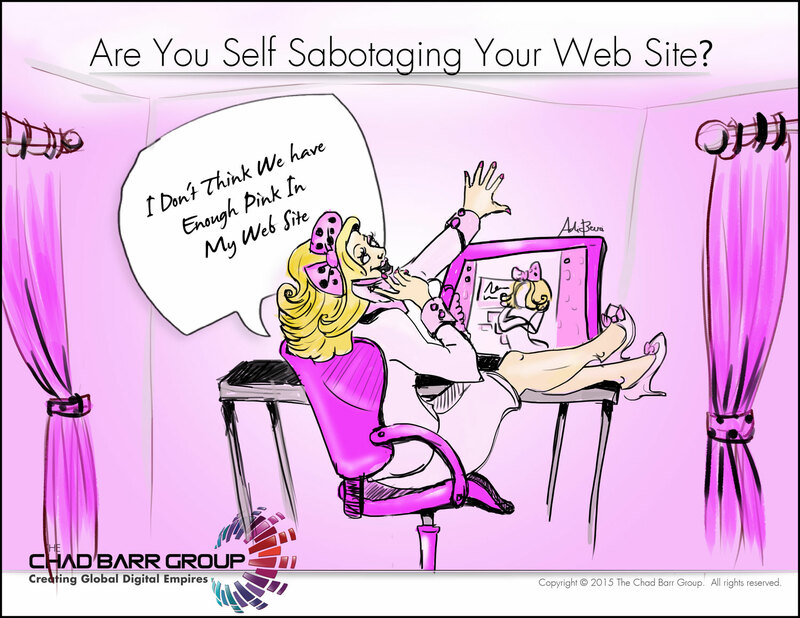 As I indicated in this video, there are many ways you may self-sabotage your web site. Why is that important? Because the ones I observed, who self-sabotage their web site, do this in other areas of their business and from my vantage point they are significantly limiting their growth and success. This week’s tip: Focus on the practical application of your site and how it is used to deliver and communicate your value to your clients rather than worry about font type and size, shades of grey, or pixels position of images. Let the experts deliver their expertise so you may focus on your business. How do most thriving entrepreneurs achieve web presence success? Get The Bridge to Web Success eBook & find out.